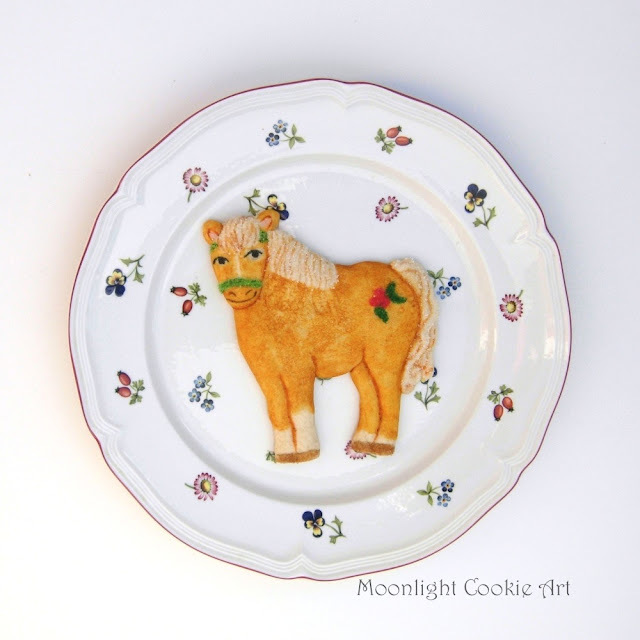 Moonlight Cookie Art did this gorgeous holiday custom order for me (a gift to a horsey professional I work with). I've been a client for several years and Sue is my go-to for holiday gifts -- BTW she lives waaay out west, and I don't know her aside from being a client. I could not be happier with the artwork and realism of these sure-to-be-delicious cookies. Find them on Facebook at https://www.facebook.com/MoonlightCookieArt/. These are awesome! Will she make custom orders if you send a photo? Than you so much for posting this about my cookies and I Loved making them. 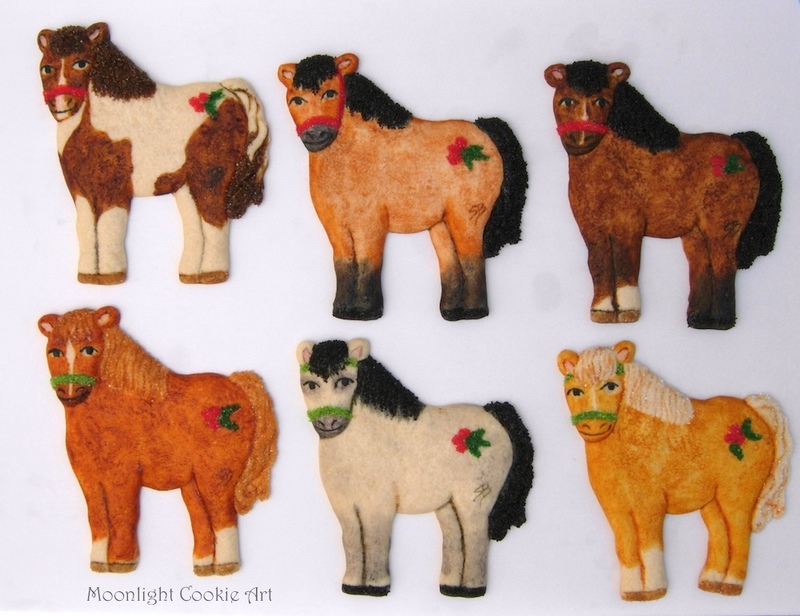 Notice the western pinto and palomino :) My cookie store just opened again for the holidays. I do make custom orders from photos!